Election Deadline Extended to Friday, April 11 at 11:00 AM. 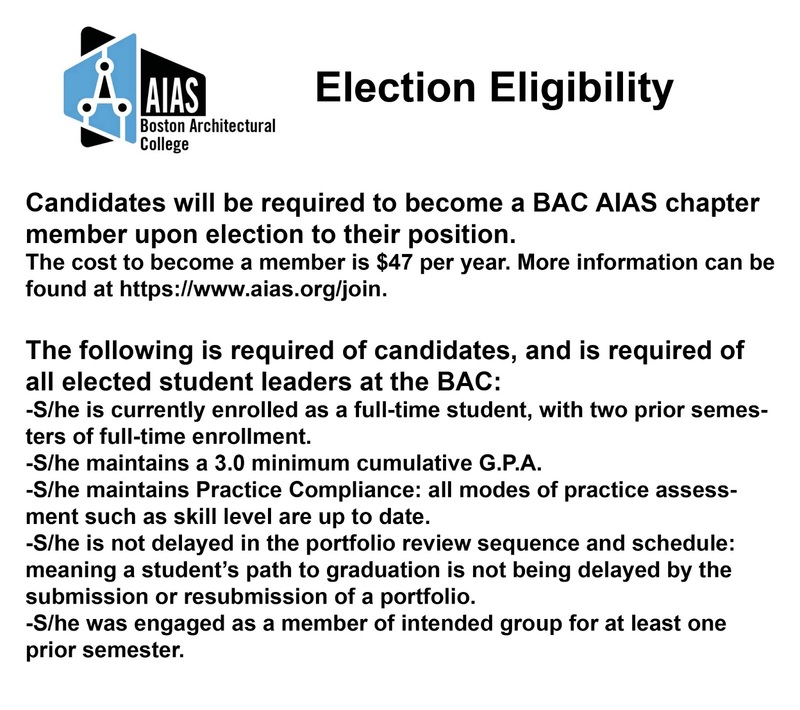 It's time for the BAC's AIAS Chapter to hold elections for the 2014-2015 Executive Board! For more information about these positions, please click the image above. For more information on eligibility, please click the image below. 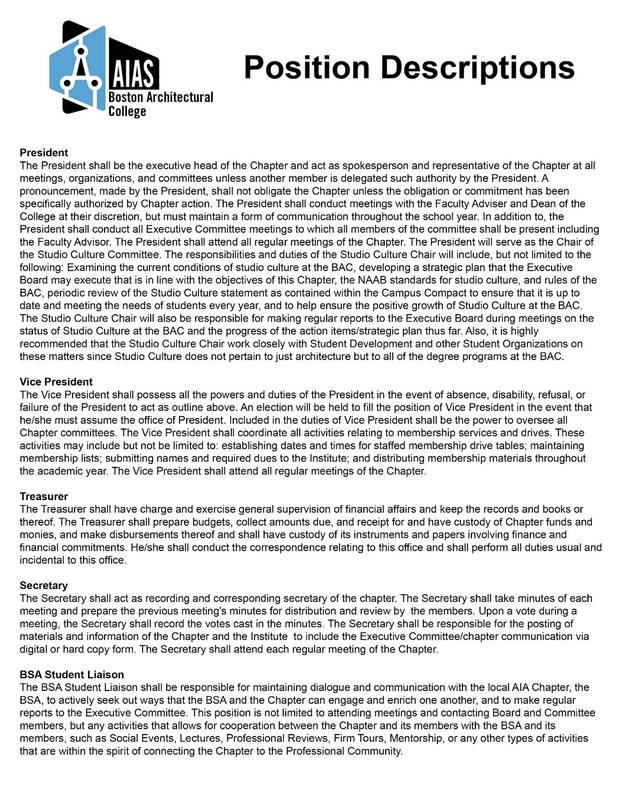 These positions are a great opportunity to not only gain critical leadership skills needed in the profession today, but also enable you to become actively involved with the architectural community on the local, regional, and national levels, which in turn allow you to expand your network, gain a deeper insight into the field, and evolve as a designer.